For 30 years, Jim Morneau has been designing homes for New England families and for some of Connecticut’s most successful homebuilders. 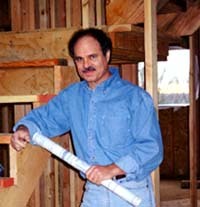 He has been the recipient of design awards given by the Connecticut Home Builders Association. His plans are hand-drawn and designed to be cost-effective for the homeowner and for the builder. Let us help you select a creative, functional plan that will both fit your building budget and satisfy your needs for that new home.